Last week the job I loved the most ended. I wasn’t fired, the site just went under and I spent the weekend in a shallow makeshift grave known as my big yellow chair reviewing hip hop. This led to me hating my life even more. I’ve crawled from that sunshine seat to my desk this Monday morning to start anew with The Lawsuits’ Cool Cool Cool. I’m not sure this was the best choice as this music isn’t my style at all, but we’ll march on because my office chair if comfy and there were at least three songs I found to be delightful. Let me see if I could place the style on the record – It’s somewhere between the Shawn Mullins like delivery in “Dreaming #26” and the Randy Newman (musical) feel I got in “Onion.” That sound odd? Well then you’re going to have to give Cool Cool Cool a listen to see if you can come up with anything else. There were songs that I never felt like “Long Drive Home” and “The Workings of You” but I’ll go on to the few I did like. “Arts & Crafts” only held my attention because of the title, while “10 Cent Piece” was eager to gain my love due to it being the most upbeat and fun. It was the one completely unlike the rest though that won top prize. “You Won’t Love Me If You Don’t” featured a soulful feminine voice taking the lead and that’s likely why it was the most appealing. I was a bit taken aback by this record because it’s not something I’d personally pop on in my down time. However thanks to a fun track and one that was unlike the rest, I got through the album. 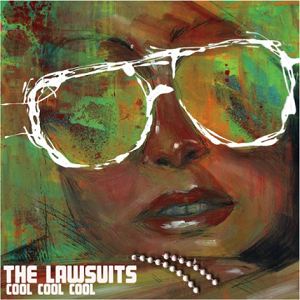 If this intrigues you in the least, please give your time to The Lawsuits and their album Cool Cool Cool, out October 1st. It’s one of those nights where I stay up past the time I said I’d go to bed just to make sure a review was written. I missed Wednesday and I’m not about to flake two days in one week. 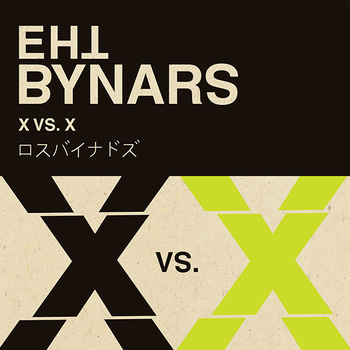 So at almost midnight I’m sitting here fighting yawns listening to The Bynars X vs. X. Oh no, don’t think for one second that this record is the cause for my sleepy state. If anything, this was the perfect choice for tonight. It’s synth-pop ways helped to keep my eyes open and mind focused. I usually keep the best song until the end, but I couldn’t help but mention this one first. “Dancing on a Dream” was like scene straight out of an 80’s movie in the middle of a shopping montage. What person doesn’t want to live out one of those? Since it may never happen to me in reality, I’ll just continue to listen to this song and play pretend. Yes, it’s midnight and I’m fantasizing about this. Other than that, you got a future iPod commercial with “I’ll Get You Back” and what could be a dance club favorite, “All I Wanna Do Is Have Some fun Tonight.” Before I wrap things up, if “Dancing on a Dream” wasn’t my top choice, “Never Gonne Die” would be it. Other than being a grand to proclaim, it sounded like a video game and to me, could be Mario’s theme song; help him get to that Princess without harm. The slow tracks on X vs. X weren’t where the party was at, and if you decide to give The Bynars a chance, heads towards the ones that’ll make you move. If you’re into synth-pop acts and are looking to add more to your collection, X vs. X is out now.